Gladiadores de Oriente (Serie A) agreed terms with experienced 36-year old Venezuelan ex-international forward Derwin Ramirez (191-82). He played last summer at La Salle Tarija in Bolivian Libobasquet. Ramirez managed to play in three leagues in three countries last year. 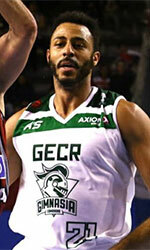 In 9 Libobasquet games he had very impressive stats: 15.3ppg, 5.4rpg, 2.8apg and 1.7spg. He helped them to win the regular season and make it to the semifinals. The last season Ramirez played at CD Tinguiririca San Fernando (Liga Nacional) in Chilean league where in 32 games he recorded also remarkable stats: 16.4ppg, 6.1rpg, 2.8apg and 1.1spg. Quite impressive season as he was named to Latinbasket.com All-Chilean Liga Nacional Honorable Mention. 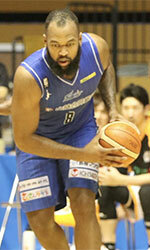 The list of the past achievements is quite long as among others he was voted Latinbasket.com Venezuelan LNB 2015 All-Defensive Team back in 2015. Ramirez was a member of Venezuelan Senior National Team back in 2013. He has spent his entire career in Venezuela playing for eight other teams: Guaros de Lara 2, Guaiqueries, Toros, Gaiteros, Lanceros, Yaracuyanos, Estudiantes and Gigantes.